The definition of a value bet is where the odds that you take are higher than the true likelihood of that outcome occurring. The easiest way to illustrate this is with the toss of a coin. 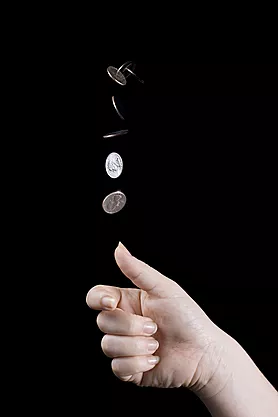 The probability of the coin toss landing on heads is 50%, which is an evens bet, or 2.0 in decimal terms. Were a bookmaker to offer you those odds then after an infinite number of bets placed on heads you will be right back where you started. No win, no loss. If a bookmaker offered you odds above evens, this bet is a value bet, that is, whilst the true odds are 2.0, you are being offered 2.x. The greater the ‘x’, the greater value. Now there is theory which dictates how much you should bet given the size of the value, what percentage of your bank…but that will be visited another day! Why have I explained value? Well I have made my living by being able to identify it, as mentioned in the ‘About Me’ section. During the lifetime of this blog I’ll be dropping in information as to how I have gone about this, but it will mean that my tips are perhaps unorthodox in that I will not, with a few exceptions, be providing a background as to why I am offering the tip (no team news, weather reports, injuries, strengths, weaknesses, form etc). I will simply state the tip, where to bet it, and above what odds I consider the bet to be value.